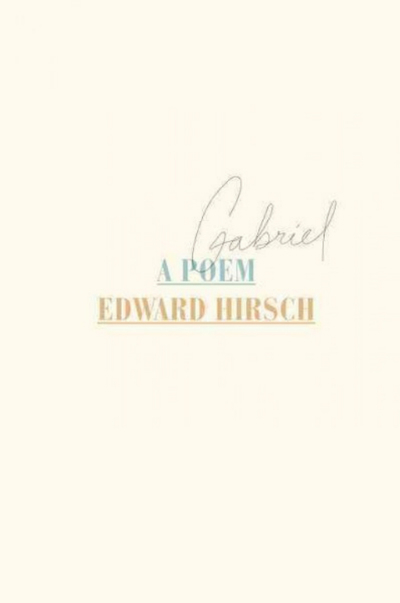 Katie Ford’s Blood Lyrics and Edward Hirsch’s Gabriel: A Poemwere among my favorite poetry collections of 2014, and both work on the same heartrending theme: the loss, or potential loss, of a child. 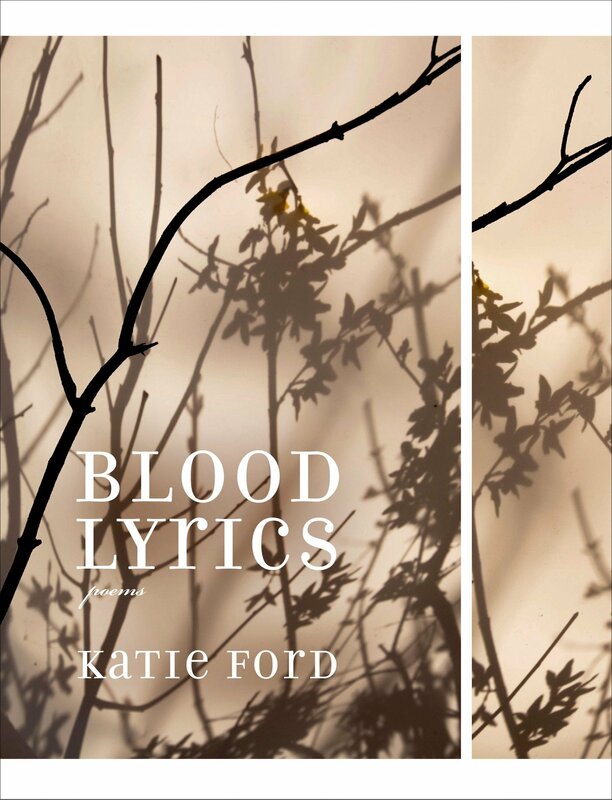 In Ford’s Blood Lyrics the poet writes from a place of anxiety and preemptive grief. Her premature child’s survival was in doubt for some time after her birth, and these poems cry out from the waiting rooms, bedsides, and night watches of her daughter’s infant struggle, pouring out a parent’s anguish and uncertainty. The poet pleads with God, rebukes God, pleads with her own soul, begs mercy, “praise[s] the human, gutted and rising” (Song After Sadness, page 23). In the book’s opening piece she makes offering of every good thing she knows, searching and grabbing from the quiet corners of her heart where the dearest sacrifices are hoped to be found, scraping out her soul to pay the fare for her daughter’s survival. Though the child does ultimately live, Ford must grief this hypothetical death before she is given reprieve. She must grieve, in either case, the deferment of normal motherhood until her daughter is sent home. The second half of the book pulls back from the specificity of this tiny baby’s uncertain survival to rebuke our nation’s warring and warmongering. The mortality of this little human has given her startling perspective on the tremendous loss of life we continue to support as a species in the name of greed, paranoia, pride, xenophobia. Nothing can be worth that much death. Hirsch writes in Gabriel about his son who died of a drug overdose at twenty-two. The book is an elegy to Gabriel, but an unusual one. Gabriel was diagnosed with an assortment of behavioral problems, and he wasn’t an easy child to raise. Hirsch hides none of this, detailing his frustrations with Gabriel and Gabriel’s difficulties navigating the world he was born into. The elegy contains curious details that snap the reader’s attention into the mundane gravity of each moment; at one point Hirsch lists the details of the autopsy, including such details as the amount of urine in his son’s bladder at the time of death. These details serve to bring the elegy down from the puffy, soft-focus sentimentality of many tributes and into the lived reality of parenting–the terrible strain and exhaustion and conflict, the terrific love and devotion and energy–and of no longer parenting. He is of course gutted when his son dies; we are gutted in reading it; “When my son’s suffering ended / my own began” (page 76). Ford’s child lived; Hirsch’s did not. Ford’s poems are written as in the moment, still uncertain of her child’s future, ears ringing with the very present fear of mortality. Hirsch’s look back, and hope and fear are no longer relevant; there is only grief. Where Ford’s loss is uncertain, Hirsch’s is definite. With his child gone, there is no pull-back to look at broader human suffering. The loss of this son is the entire world. There is no room to feel anything else. When we grieve, we do so wholly. Both these books are devastating in their felt emotion and the precision with which each poet draws us into their pain. Each lays waste to the fragile places of the heart, each echoes in the hollow of every parent’s worst fear realized. These are two very different but equally powerful explorations of mortality and grief, and deserve the careful attention of the reader. Hard though they are to read, both are startling and beautiful accomplishments.